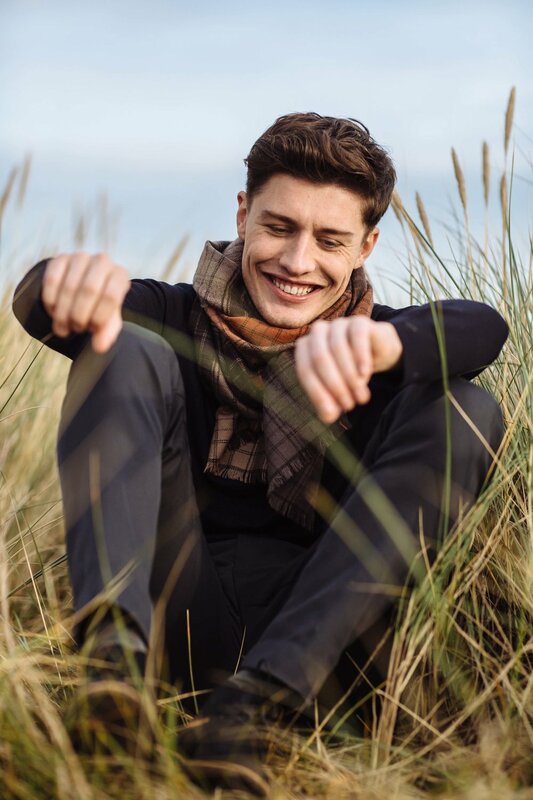 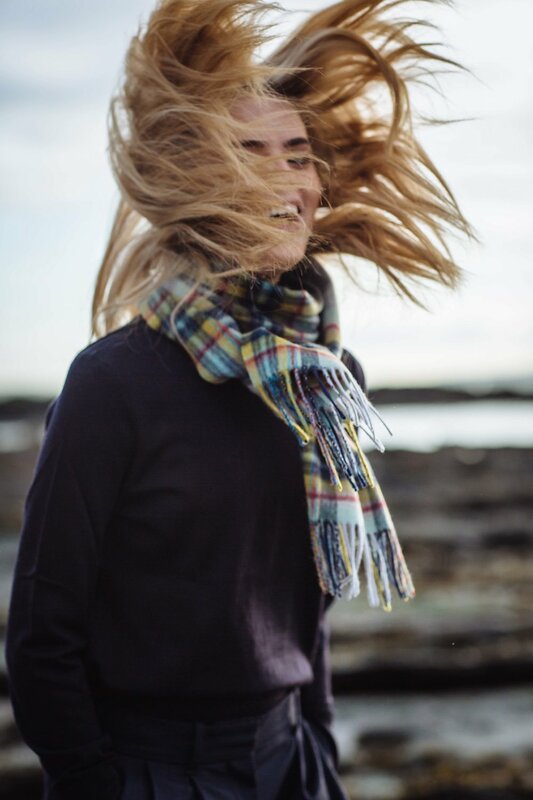 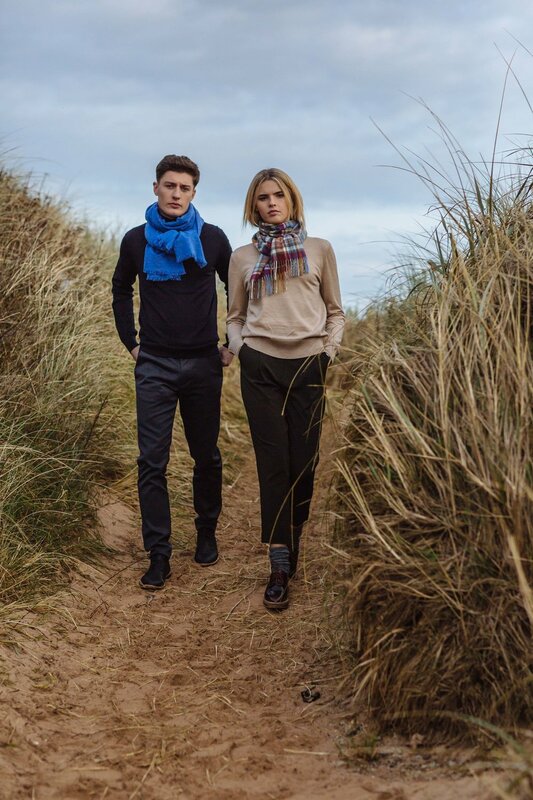 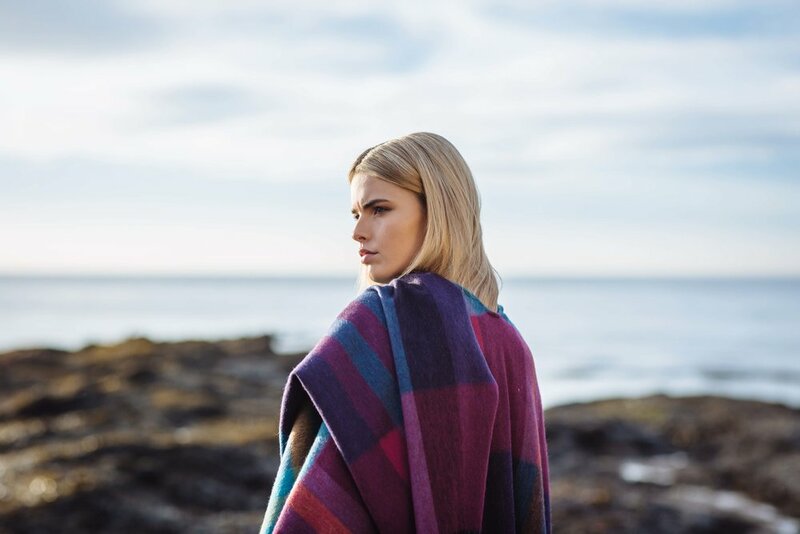 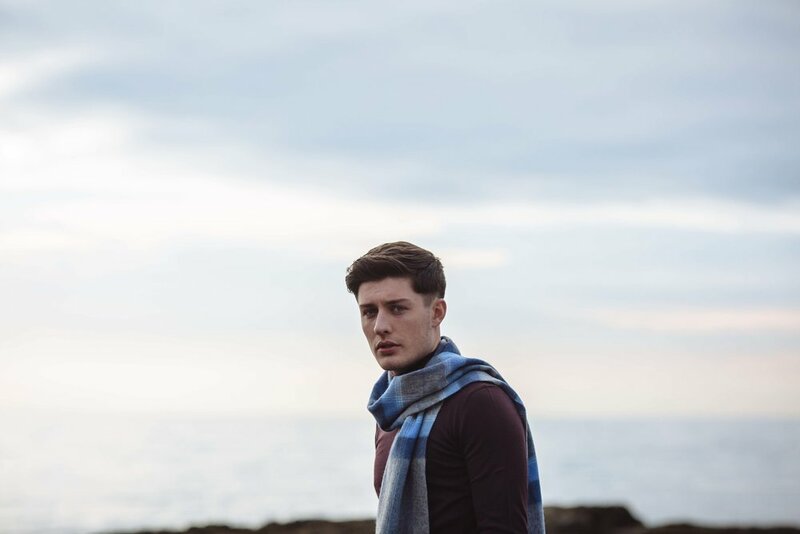 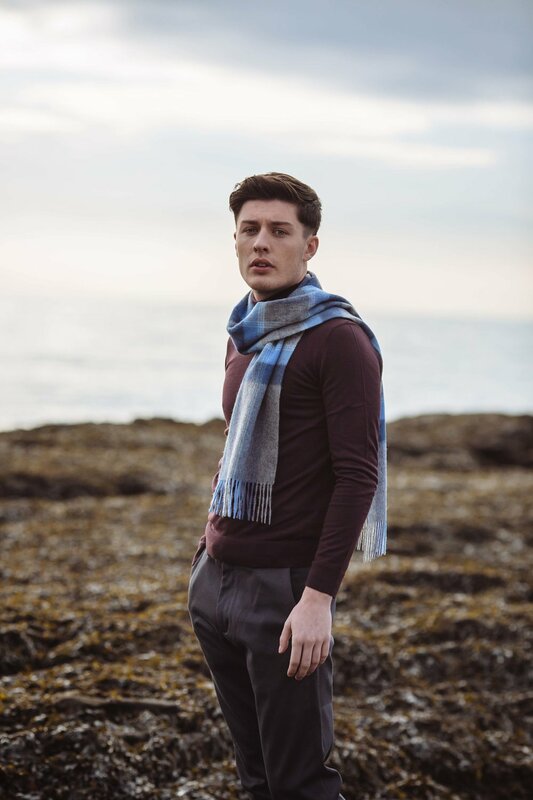 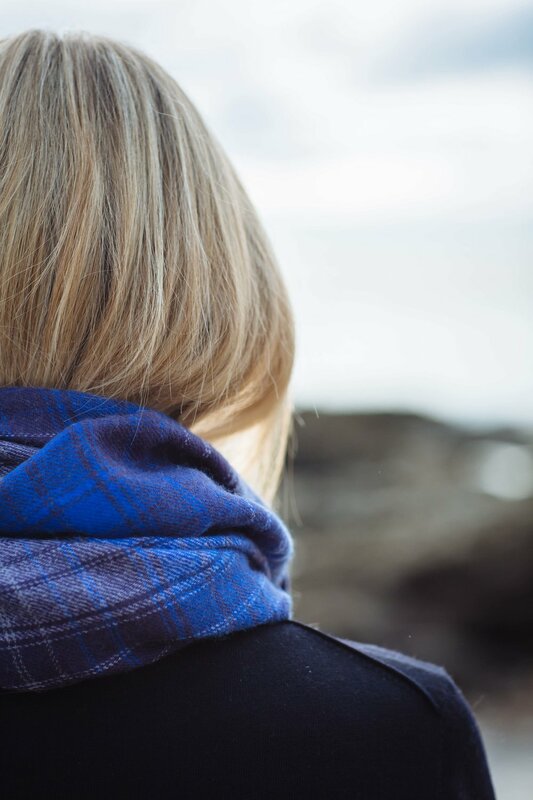 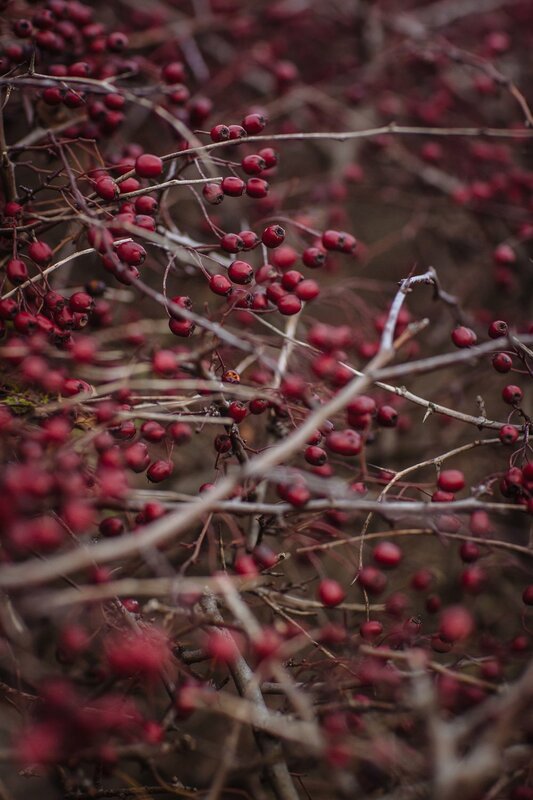 Hogarth 2018 Spring Collection, stills taken along the Fife coastline, Scotland. 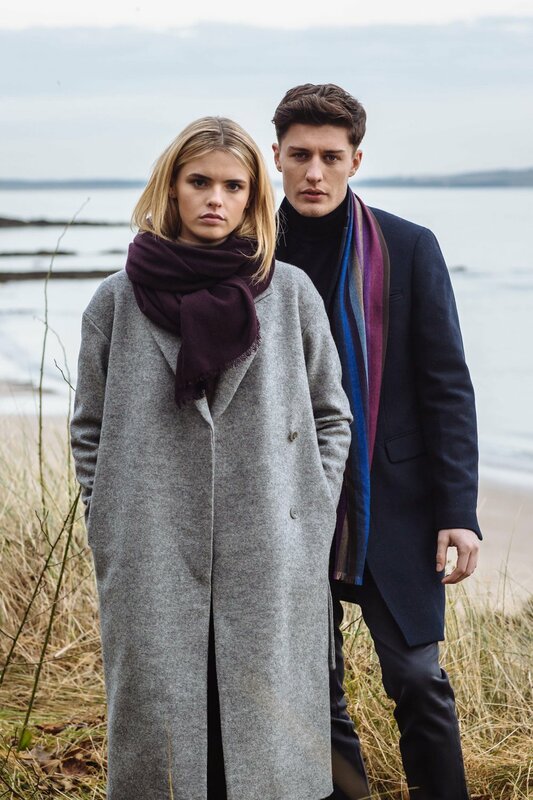 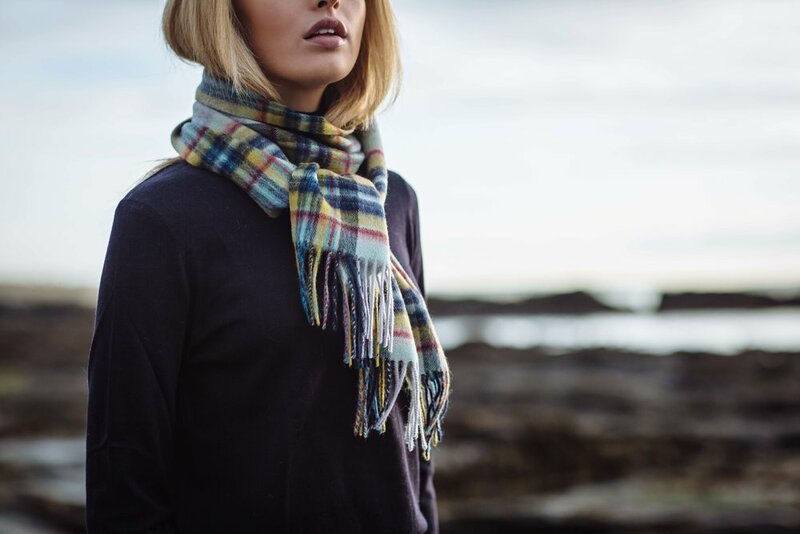 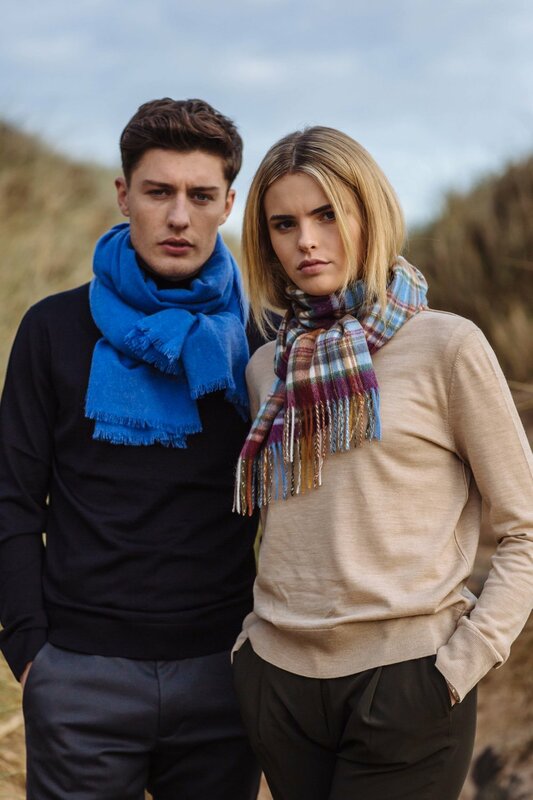 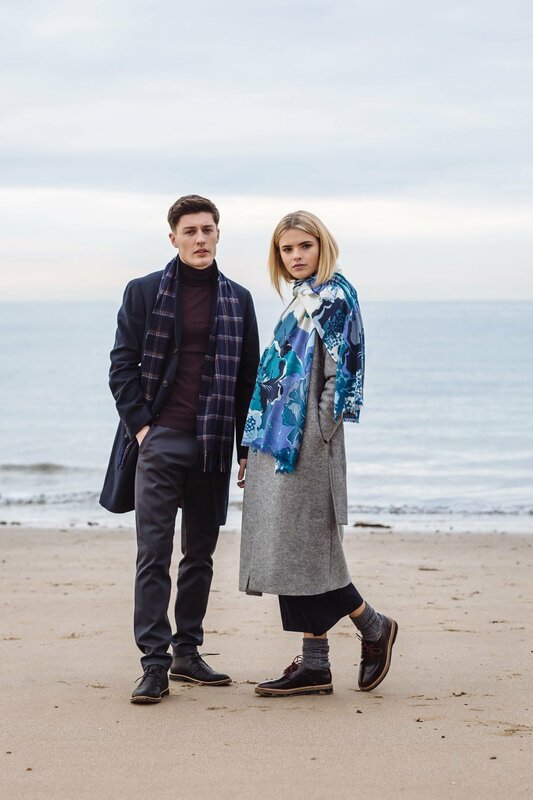 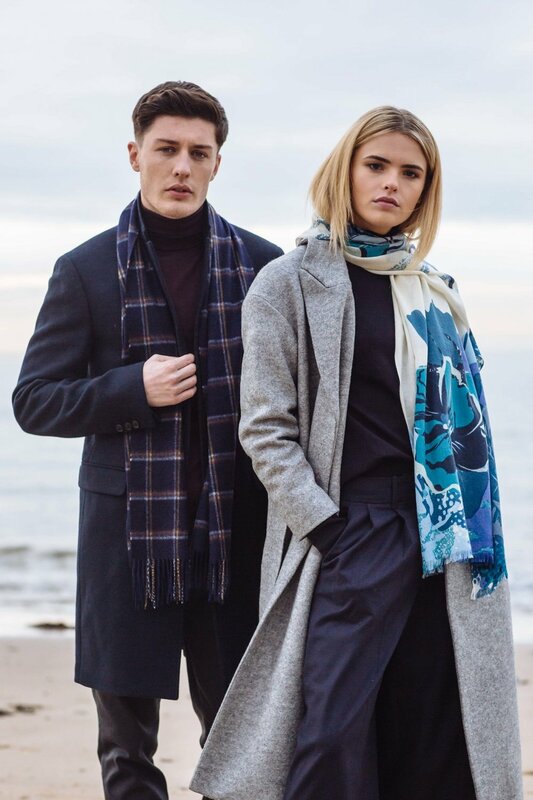 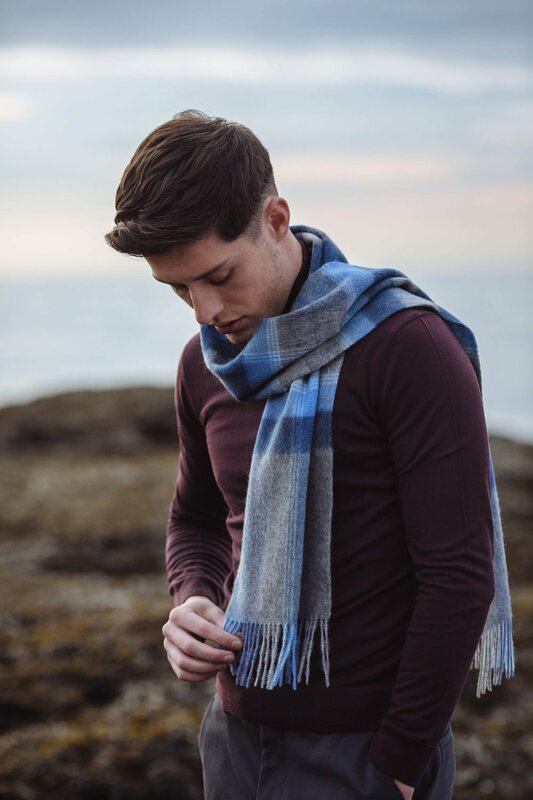 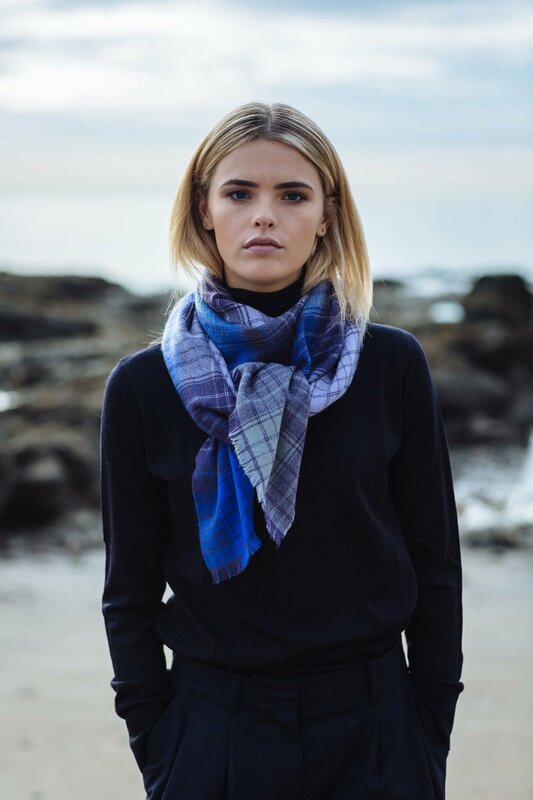 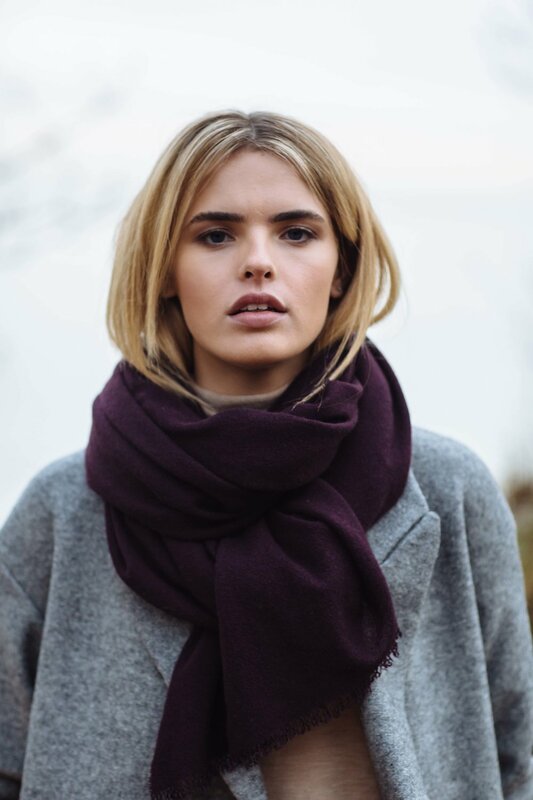 Hogarth is a contemporary, Scottish fashion accessory brand. 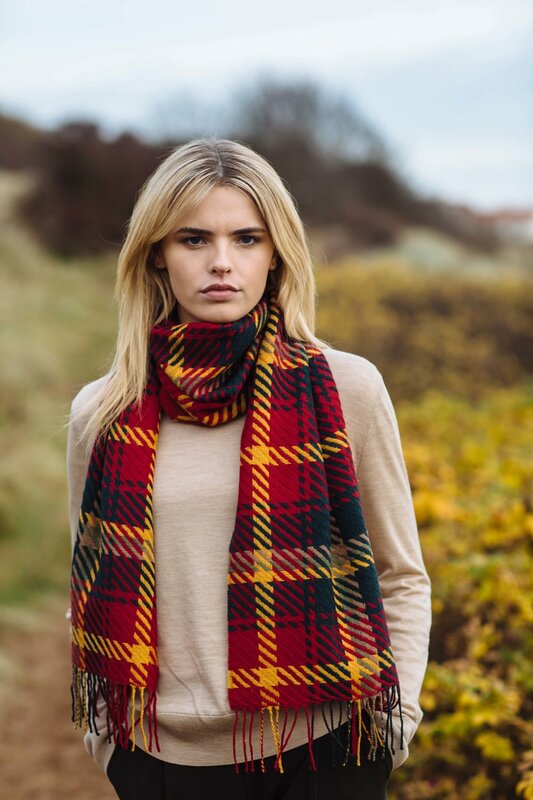 They have a long family history in the textile industry, with all their products are designed in-house.